and tonal magnificence inherent in this work. unduly neglected masterpieces of the sonata literature. to Berlin where he completed his study of composition with Max Bruch. Enzo, a notturno for orchestra, and several songs for voice. 1932 Respighi was nominated to the Royal Academy of Italy. contemporary harmony and orchestration to create a vivid imagery. and sweep of the writing suggests a tonal experience of much larger scope. contemporary Respighi, was greatly influenced by the music of the past. considering that Puccini was still alive. 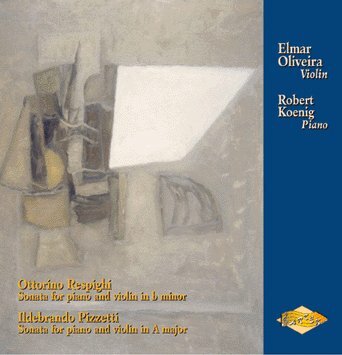 Pizzetti¹s only sonata for violin and piano is an intensely dramatic work. and premiered in 1922) Pizzetti is deeply involved with the torments of war. independent themes in the piano dwell on more turbulent repetitive motifs. eventually heals all pain and suffering. enthusiastically supporting the art of modern violin and bow makers. Ginastera, Einojuhani Rautavaara, Joseph Joachim, and many others. made by Giuseppe Guarneri del Gesu in 1726.